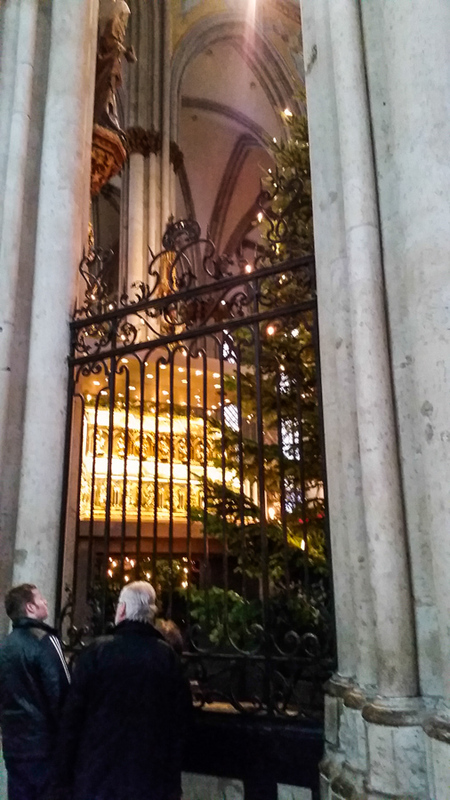 The great Cologne Cathedral was meant to house the relics of the Three Kings, the Magi of the Gospel according to Saint Matthew, chapter 2. 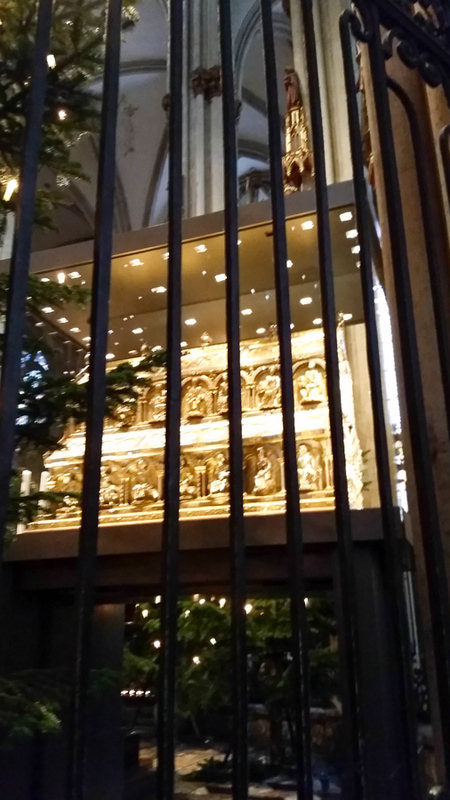 This is the reliquary today, made of wood with gold overlay. 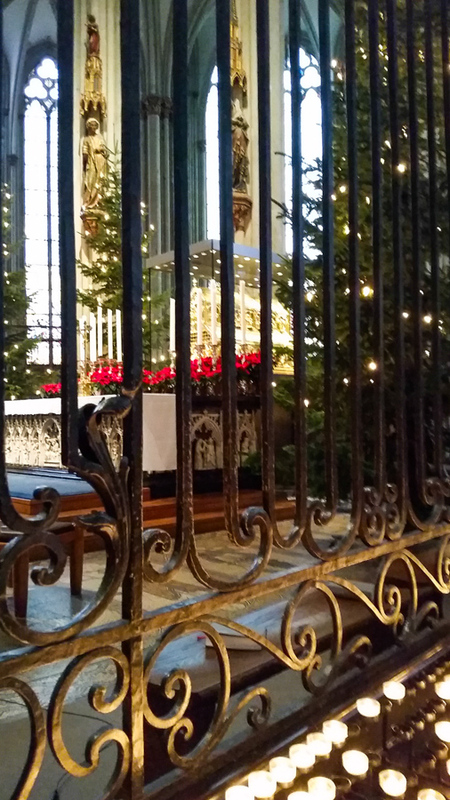 Read more about the reliquary of the Three Kings and about Cologne Cathedral. 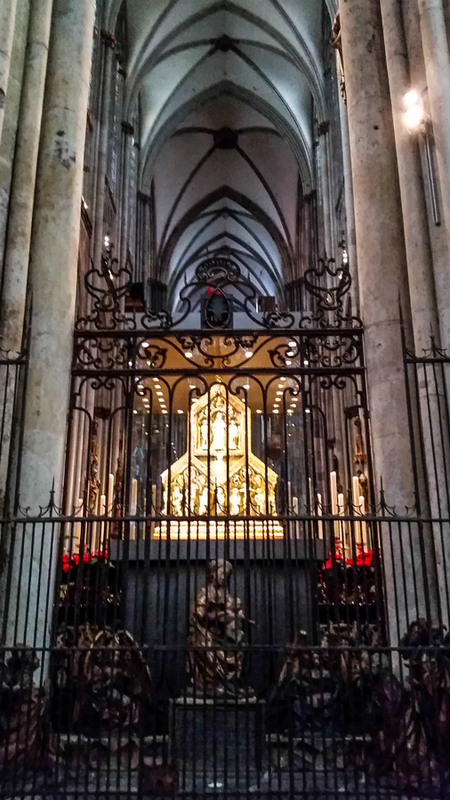 This entry was posted in Christianity, Europe, Travel and tagged cathedr, Cologne, Magi, relics, Reliquary, Three Kings on January 3, 2016 by frjfkauffmann.